Dena Kimball is the executive director of The Kendeda Fund. She also oversees the Girls’ Rights program. Before joining The Kendeda Fund in 2014, Dena served as the Vice President of Network Support for Teach For All; the Vice President of Alumni Affairs and the Deputy Vice President of Admissions for Teach for America; and as the Executive Director of GirlVentures in San Francisco, a nonprofit organization with a mission to inspire adolescent girls to develop and express their strengths. 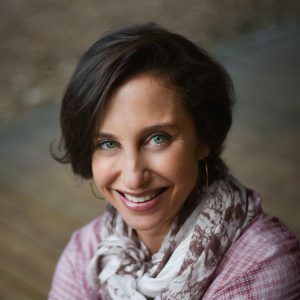 Dena holds a master’s degree in public policy from the John F. Kennedy School of Government at Harvard University and a bachelor’s degree in political science from Emory University. As an independent consultant, Dena specialized in the curriculum development, management, strategic planning and development of nonprofit organizations focusing on youth. She has served as an associate director of development for Pacific Crest Outward Bound School and as a program specialist at the National Economic Development and Law Center. She was the founding Chair of American Jewish World Service’s Global Circle and sits on the Board of the Directors of the Fugees Family. Dena lives in Atlanta, Georgia, with her husband and two daughters. I love to sit on our front porch swing at dusk with my two daughters, watching them enjoy each other and our garden.